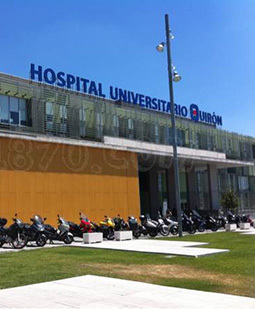 Education Degree in Medicine and Surgery by the Universidad Complutense de Madrid. Professional Experience Rresident at Hospital Puerta del Hierro (Madrid). Fellowship at the University of Maryland at Baltimore (USA). Adjunct Doctor in the Medical Oncology Division at Hospital 12 de Octubre. Head of the Medical Oncology Division at Hospital General de Cataluña San Cugat del Vallés. Head of the Breast Unit of the International M.D. Anderson Center in Madrid (Spain). Associate Chief of the Oncology Integral Unit at Quirón Madrid University Hospital. Head of the Breast Unit at International M.D. Anderson Centre in Madrid (2004 – 2009). Professor of Medical Oncology at the University of Texas.